The freshly harvested dried and milled Ascophyllum nodosum Seaweed contains naturally an unequalled, balanced range of minerals, trace elements, vitamins and amino acids. Because they are natural and plant based they are fully available to the animals system. Excellent conditioner for all small domestic animals too! Mix it with chicken feed to give your hens a boost. Harvested manually off the West-coast of Ireland. Seaweed meal can be applied as a soil and plant food. However you may find that our seaweed dust is better value for application to soil for crops. This is an interesting article in the Irish Times about seaweed and methane. Botany is the scientific study of plants and Ellen Hutchins is rightly regarded as the first Irish female botanist. After schooling in Dublin, around 1805, she returned home to Ballylickey, County Cork and set about her systematic pursuit of the study of plants armed with some text books lent by Dr Whitley Stokes of Trinity College, Dublin. To put this era in perspective, it would be some 70 years before girls could sit secondary-school state examinations and a hundred years before women students gained access to Trinity College. Thus, long before women entered scientific professions this young lady was studying the plants of her native area, between Bantry and Glengarriff in West Cork and into County Kerry, firstly drawing specimens and then identifying them. She became an expert plant taxonomist, i.e. someone who classifies plants into species based on their characteristics, and specialised in very difficult groups such as mosses and liverworts. She also had a little boat which she used to collect sea plants around Bantry Bay. In an age when computers were unknown this young woman classified more than 1,000 species in her hand-written catalogue of Irish plants and made detailed drawings of many. Ellen died a month before her 30th birthday but has left a lasting legacy to science. Specimens collected by Ellen Hutchins are now in various collections around the world including Dublin, London, Edinburgh, Helsinki and New York. 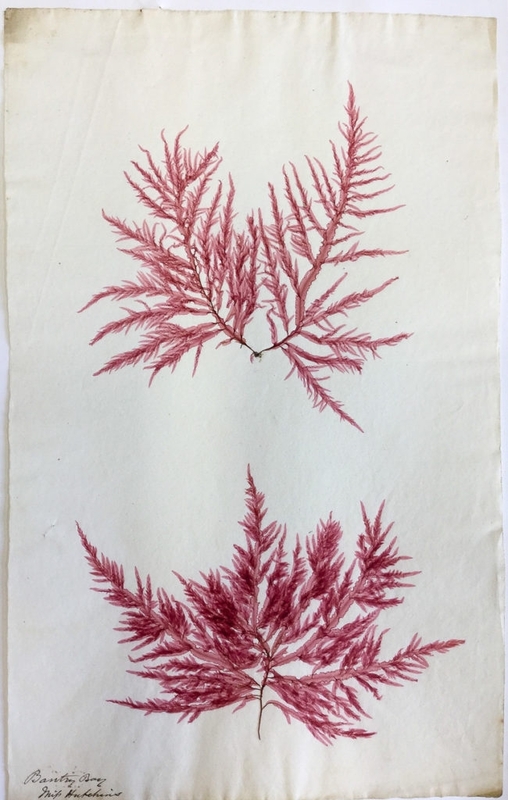 In a time when women did not publish in their own right, her many plant records, as well as water-colour illustrations, were included in the works of the leading botanists of the day.